When: Sunday, July 19, 2015, 2-5 p.m.
Where: Donald Wright Auditorium, Pasadena Public Library, Pasadena, Calif.
Why? Yes, you are entitled to ask. We already have a baseball Hall of Fame. But let’s face it: it’s produced more heat than light, particularly in recent years. Could there be a different model for baseball immortality? The answer is yes, and the Baseball Reliquary continues to make inroads into establishing a “Hall of Fame for the rest of us.” One that’s for adults still capable of playing with others, even while demonstrating their rugged individualism. 2014 established a permanent base for the Reliquary’s parallel operation, the Institute for Baseball Studies. Legendary baseball historian Paul Dickson provided a treasure trove that put the IBS instantly on the map with the donation of his papers. It won’t be long before Whittier, Calif., is the West Coast analogue of Cooperstown. The Reliquary’s signature event is here again, occurring as it always does on the weekend before Cooperstown’s big blowout. While a few folk thought that the 2014 Shrine of the Eternals crop was something of a holding pattern for the project (Dizzy Dean, Rachel Robinson, Don Zimmer), it’s undeniable that the Reliquary voters gloriously recaptured their connection to baseball’s subterranean stream with their 2015 inductees. The core principles that define “Eternal”—adversity, extremity, otherness—are back in play with a vengeance. The three individuals to be honored Sunday are clearly not what you’ll find on the dais at Cooperstown. Which is a shame, since they each have added something to American culture in ways that are far more interventionist than mere excellence on the playing field. 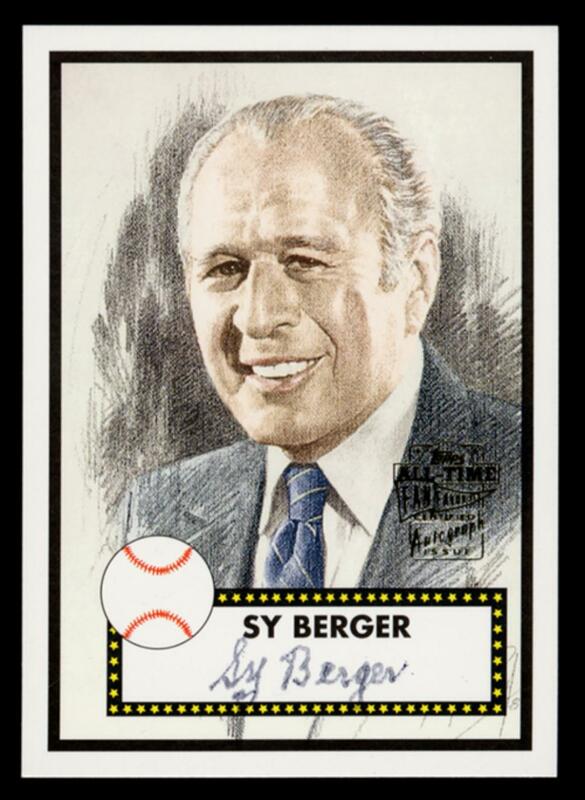 There is nowhere else where the inventor of the modern baseball card (Sy Barger), the first gay major league player (Glenn Burke), and a minor league legend with enough je ne sais quoi to be name-checked in a classic television series (Steve Bilko) can be afforded the recognition they are due. These are legends of a different kind, who celebrate the past as they beckon to a future where the game might yet return to its role as the “brawling force” that so fascinated 19th-century literary heavyweights Mark Twain and Walt Whitman (even as labor strife, the beginnings of overwrought commercialism, and various forms of scandal swirled around it). Barger’s cardboard collectibles became more than mere commerce, transformed over time into cultural talismans (the classical transference into otherness); Burke’s tumultuous life and the rumors that surrounded him during his playing days occurred at the start of a cultural revolution that he and others gave their lives to set in motion (adversity writ large); and Bilko’s collision with a doubly congenial geographic location—Los Angeles, which brought him a cozy ballpark, 50+ homers and a rapturous Hollywood fan base—produced an outsized level of performance that still boggles the mind (a textbook example of extremity). It’s yet another sublime trio for the Reliquary as its Shrine now swells to 51 inductees, adding an ethereal gravitas to their otherwise pixie-like mien. And that’s not all. The Reliquary has two other significant awards. Aware that pure products of America are prone to go crazy, it honors baseball fandom/fanaticism with an award named after the loudest and most legendary baseball fan of all, Brooklyn’s Hilda Chester. 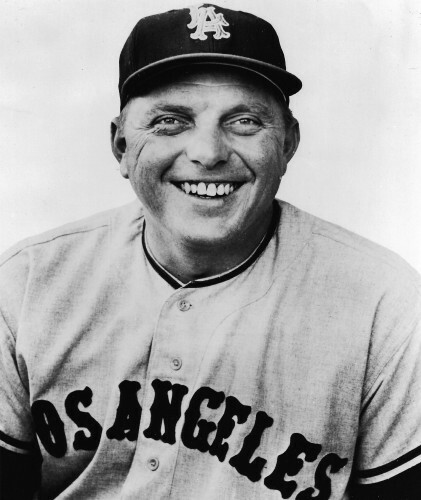 This year, the award comes full circle to Tom Keefe, the president of the Eddie Gaedel Society. 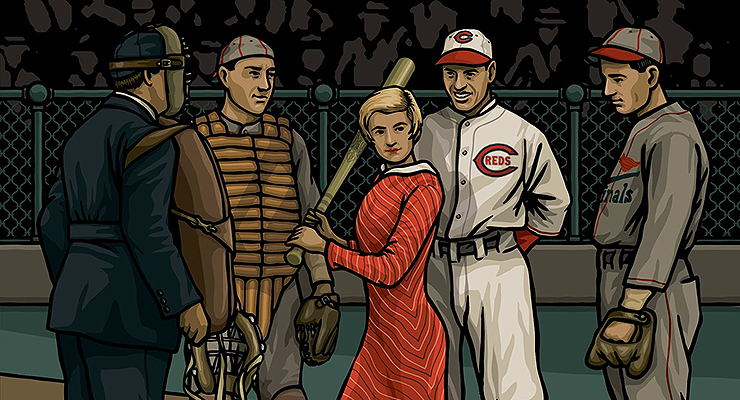 (For those who may have forgotten, Eddie Gaedel was the midget that Bill Veeck—another member of the Shrine of the Eternals, by the way—dropped into a major league game just to see what kind of mayhem would ensue.) Keefe and his pals in Spokane, Wash., meet every Aug. 19 to commemorate Gaedel’s four-pitch rendezvous with eternity. Last (but not least) is the Reliquary award named for baseball writer Tony Salin, awarded for excellence in the preservation of baseball history. This year, the Reliquary has outdone itself with its selection of Gary Cieradkowski, whose Infinite Baseball Card Set blog has been the best baseball-related site on the Internet for quite some time now. Cieradkowski’s new book, The League of Outsider Baseball, features many of the same players written about at the blog, but also includes a copious selection of his artwork, which is some of the most strikingly original baseball-related design work to be found anywhere. Gary’s work is so good, in fact, that someday he just might have to be inducted into the Shrine of the Eternals himself. 2015’s pennant chase seems to be moving at a molasses-like pace, with its “season of parity” forcing fans to embrace teams with flaws large enough that a tractor-trailer can safely pass through; but, this Sunday in Pasadena, the real beating heart of the game will put all those in attendance through their paces like those brisk two-hour contests of yore. Even though the Reliquary has allotted three hours for this singular event, you can be sure that when it comes to an end, it will feel like no time has passed at all. That’s the child-like wonder of a world where baseball magically transforms into a truly adult pastime—and with its 17th Shrine of the Eternals ceremony, the Baseball Reliquary edges ever closer to becoming the baseball anti-institution for all of us.